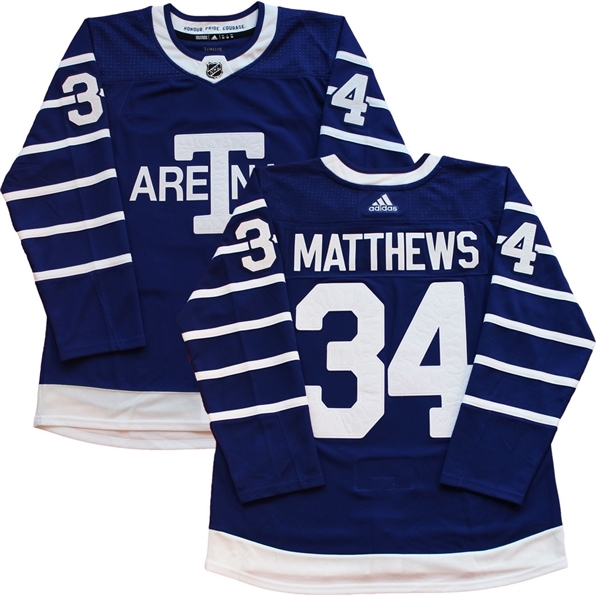 This Auston Matthews unsigned jersey has the Toronto Arenas logo on it instead of the traditional Maple Leafs logo. The jerseys were made special for the 100th anniversary game of the Leafs joining the NHL. This game took place December 19th, 2017 against the Carolina Hurricanes, were they won 8 - 1. Matthews was drafted first overall by the Leafs in 2016, in his first game as a Leaf he scored 4 goals out of 60 in his career so far. While Frameworth cannot guarantee the sizes we carry, we only stock sizes large and extra-large in this jersey. We do not guarantee any specific jersey sizes but we typically carry sizes L, XL or 52, 54 & 56 for Pro jerseys. These sizes are considered the most ideal for framing & displaying.